Going where your customers go: Is Mobile Commerce the way forward? 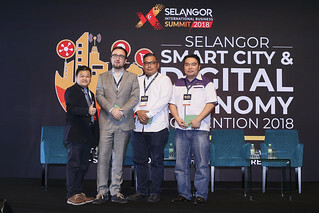 The E-Commerce Class on Mobile Commerce, held on the 23rd of January at the Selangor Digital Creative Centre (SDCC) drew 110 attendees, with seats extending out of the hall to accommodate the extra crowd. The class, organised by the Selangor Information Technology and E-Commerce Council (SITEC), marks the second class for the year and the 60th EC class to be conducted since 2015. Coach Adrian Oh, co-founder of ecInsider, noted that mobile commerce, which capitalises on increasing mobile penetration, is currently enjoying aggressive growth, with mobile shopping having grown 20% in 2 years. “However, this growth is due to subsidising. If you are just starting out, this can be very difficult, which is why there is no coincidence that market share in mobile commerce tends to be held by marketplaces, as they have enough financial backing,” noted Oh. “Still, going mobile is still a must, as you have to go where your customer goes,” he continued. Mobile websites or mobile apps for Businesses? Producing mobile apps requires that the business consider several factors, with key ones such as cost, both in setting up and maintaining the app. Additionally, things like weight of the app (i.e. how many features the app has); speed and user experience, and online and offline functionality are also important, and will add significantly to the costs of app setup and maintenance. E-tailers should also consider aspects such as app use frequency – Malaysian trends show that apps that are not commonly used will be deleted; and brand recognition -consumers will not download apps for e-tailers they have not heard of. 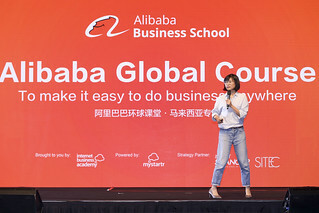 As such, Oh advised the class to, at the very least, have a website that is mobile-friendly, as e-Commerce is currently at the stage of omnichannel retailing. Omnichannel retailing is the process of using various channels at the same time to sell, such as via mobile and desktop at the same time. Following that, Oh then spoke about the rise of eWallets as a form of payment, introducing the variety of eWallets that are currently available. He also noted that Malaysia is indeed moving towards a cashless society, with China having already achieved this. “The only people who use cash in China are tourists. Everyone else has already transitioned to WeChat Pay or AliPay there,” shared Oh. Oh concluded the segment on mobile commerce by encouraging attendees to try out mobile commerce and experience it for themselves, which would give them a better idea of what they are looking for in their own variants. Oh then moved on to payment gateways, noting that these are integral to an e-Commerce business, due to their role in allowing a shop or seller to accept credit cards and other forms of electronic payments online. He also offered a quick guide to selecting the right payment gateway, by asking attendees to consider their target audience and country, the reputation of the payment gateway among their target market, the currency used, how soon can the money reach their bank account, will it affect their cash flow, any limits on accounts, and settlement currency. Oh also reminded attendees that selling online is about building trust. 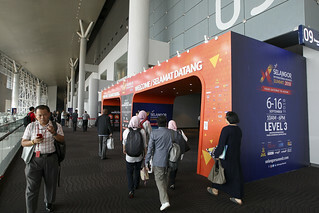 He then noted several basic features shared by payment gateways, such as being able to select a currency type, a card type, providing reports to the merchant, having a merchant account, and an application programming interface or API, before introducing several established Malaysian payment gateways. Oh then offered some general advice about starting and surviving as an e-Commerce business. One particular note he stressed was for merchants to pick their niche, and to go vertical and deep within that niche. Offering the example of coffee, a merchant could sell drinks, or focus on selling coffee, or focus within coffee to selling specific coffee beans, building a reputation for selling particular types of beans within the market. He also noted that one of the best things an aspiring merchant can do is to just start. Keep it simple, upload between 50 to 100 products first, encourage reviews, promote products, and have launch promotions. “Just start. Don’t wait for that perfect plan, because there is no plan that is perfect. Have something going, then grow and solve problems as you go. “And don’t make the mistake of expecting customers just because you have started an online store. If a physical store has promotions to bring in traffic and customers when they open, what makes you think an online store is different? Traffic is not free,” he advised. He also advised merchants to not compete on prices, but to bring additional value to their customers instead. Examples include better customer experiences, offering hard-to-find items, having the widest selection, fastest shipping, or being a certified partner with exclusive items. Oh also reminded attendees about the importance of knowing the source of their products, and advised them to never make the mistake of thinking product sourcing is not important. The quality of the products is just one way of either building your reputation as a trusted dealer and being able to offer more value to the customer, or tarnishing the merchant’s reputation as one who carries shoddy goods.